With the Heavy Metal music industry so tough these days, I tend to listen to everything with a “glass half full” mentality and try to find the good in every release. The blood, sweat, and tears that are poured into recording and releasing music these days is too much for the average human to understand. But doing it as a self-produced independent artist, without any record label backing is even harder. 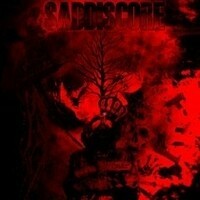 Enter SADDISCORE, a four-piece, hard-working band of “metalheads” from Cologne, Germany. With the release of their new five song, independently released EP, "Roots Of Fear", Chris Winand (Guitar-Vocals), Caro Pohl (Lead Guitar), Jupp Adenacker (Bass), and Peter Schommers (Drums), are here to prove the old saying, “where there’s a will, there’s a way”. To be honest, I wasn’t initially blown away. But I’ve got to say, the more I listened to this EP, the more I liked it. And today I sit here with those songs stuck in my head. These guys (and woman) sound like they could’ve started out as a Metallica cover band before emerging as a really tight, original group (I’m not saying they were a Metallica cover band, they sound like they could’ve been). Chris’ voice sounds eerily similar to James Hetfield and he plays that up to the fullest extent. Mixing a sound reminiscent of Iron Maiden meets Machine Head, Metallica meets Megadeth, throw in some Steve Stevens lead solos, and you get SADDISCORE. You won’t find any superstars in this band but together they are really solid. Their sound is dark and heavy and all five tracks are guitar driven, up-tempo rockers. The songs are well written and are the lyrics are deep. Put these guys together with a really nice producer and they have the potential to be a player in the Heavy Metal genre. Their best years are definitely ahead of them. If you want a really solid, rocking release, pick up “Roots of Fear”. I could point out a few deficiencies here and there, but for what? I judge music based on the feeling I get while listening to it and this feels pretty good. I like the sound and direction SADDISCORE is heading and look for them make a name for themselves in the not so distant future.